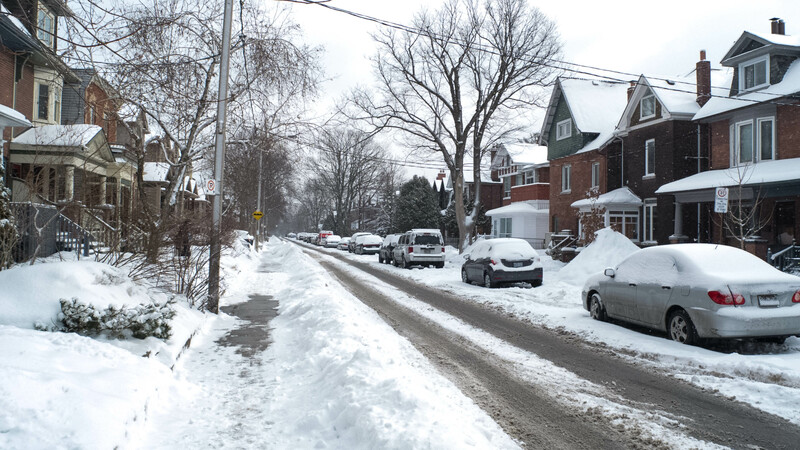 February 18 – my street in Toronto after another snowfall. It was 33°C in Colombo at the time! Luckily, tomorrow I am off to the fabled isle of Serendib (as visiting Arab traders apparently called it). Located just a few degrees north of the equator, It is known these days as Sri Lanka, a name of Sanskrit origin meaning “the blessed island”. It figures in the two great Indian epics, the Ramayana and the Mahabharata, written in this ancient Indo-European language. Invaders, traders, and adventurers have had the island in their sights for at least the past three thousand years. With the advent of cheap air travel in the 1970s, tourists looking for pristine beaches have joined the ranks of visitors. Needless to say, it has a lot more to offer than sand and sun – if what you are looking for is more than a beach vacation. 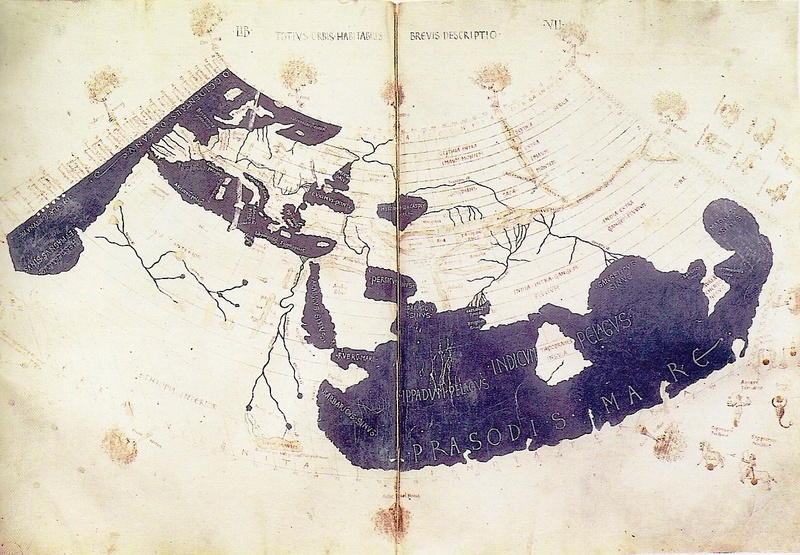 Ptolemy, a Hellenistic Greek academic living in the great Mediterranean port city of Alexandria, Egypt in the second Century C.E., included it in his map of the world created from information gathered from sailors at the docks of his city. 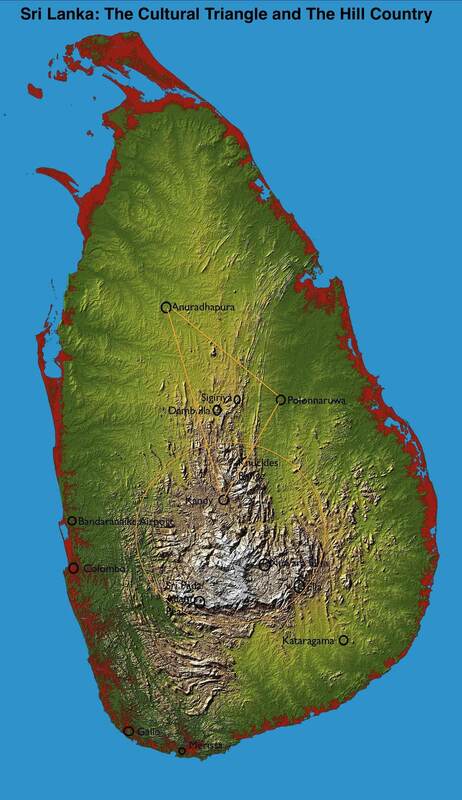 While we know Sri Lanka is not that large an island, its size on Ptolemy’s map is an indication of its importance to the people of the Mediterranean world as a source of exotic spices and gems. Ptolemy knew the island as Taprobane. When you leave the Island of Angamanain and sail about a thousand miles in a direction a little south of west, you come to the Island of SEILAN,  which is in good sooth the best Island of its size in the world. You must know that it has a compass of 2400 miles, but in old times it was greater still, for it then had a circuit of about 3600 miles, as you find in the charts of the mariners of those seas. But the north wind there blows with such strength that it has caused the sea to submerge a large part of the Island; and that is the reason why it is not so big now as it used to be. For you must know that, on the side where the north wind strikes, the Island is very low and flat, insomuch that in approaching on board ship from the high seas you do not see the land till you are right upon it. Now I will tell you all about this Island. They have a king there whom they call SENDEMAIN, and are tributary to nobody. The people are Idolaters, and go quite naked except that they cover the middle. They have no wheat, but have rice, and sesamum of which they make their oil. They live on flesh and milk, and have tree-wine such as I have told you of. And they have brazil-wood, much the best in the world. Now I will quit these particulars, and tell you of the most precious article that exists in the world. You must know that rubies are found in this Island and in no other country in the world but this. They find there also sapphires and topazes and amethysts, and many other stones of price. And the King of this Island possesses a ruby which is the finest and biggest in the world; I will tell you what it is like. It is about a palm in length, and as thick as a man’s arm; to look at, it is the most resplendent object upon earth; it is quite free from flaw and as red as fire. Its value is so great that a price for it in money could hardly be named at all. You must know that the Great Kaan sent an embassy and begged the King as a favour greatly desired by him to sell him this ruby, offering to give for it the ransom of a city, or in fact what the King would. But the King replied that on no account whatever would he sell it, for it had come to him from his ancestors. The people of Seilan are no soldiers, but poor cowardly creatures. And when they have need of soldiers they get Saracen troops from foreign parts. The above passage serves as a warning not to believe everything one reads or hears – even from people who claim to have been there or talked to someone who was! This article on Tourism in Sri Lanka happily misquotes Polo’s actual words and has him say that Sri Lanka “is the finest island in the whole world” twice in five sentences while making sure not to quote any of the less flattering statements! My interest in Sri Lanka goes back to my late teens when I got a hold of a copy of What The Buddha Taught by Walpola Rahula. (Click here for a pdf copy of the second edition of the book from 1974.) This Buddhist monk, one of Sri Lanka’s leading intellectuals of the past century, presented in his book a completely human Buddha free of mythology and mindless adherence to ritual and tradition that I found very attractive. (It was the late 1960’s and there was something in the air!) 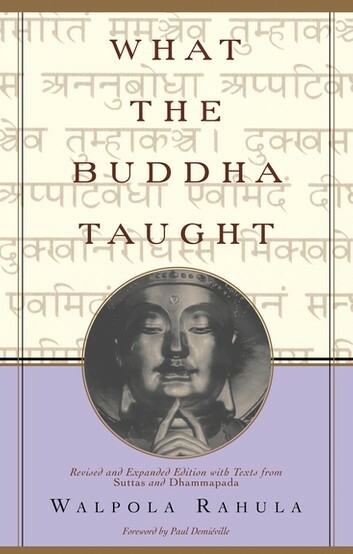 For some reason I thought that this interpretation of Buddhism was the one that thrived in Sri Lanka, not realizing that religion, as practised by the common people in their daily lives, is something quite different from what Rahula presented. 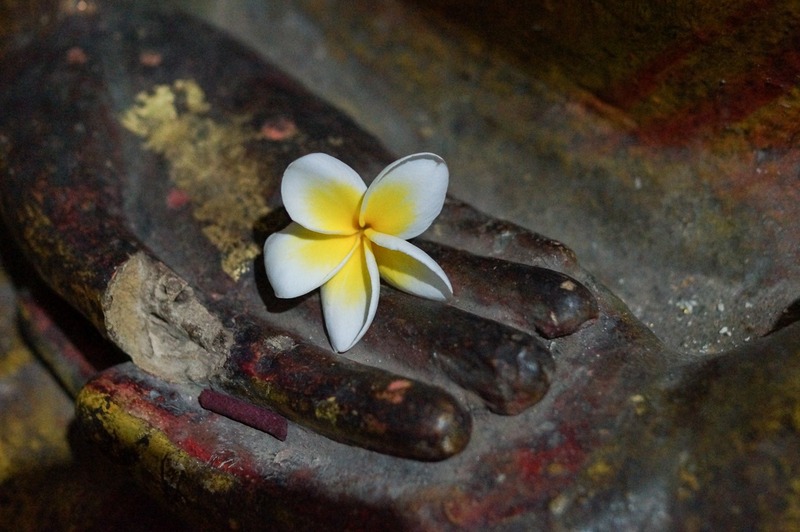 I eventually came to realize that real-world Buddhism is no more free of myth and ritual and tradition and hierarchies than any other religion; I still find Rahula’s Buddha very appealing. 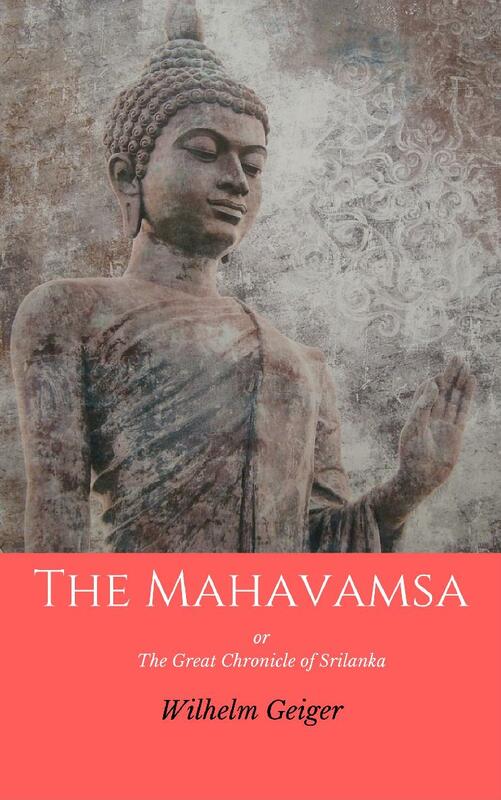 More recently I came across an epic chronicle of ancient Sri Lankan history called The Mahavamsa. It provides the basis of a different Buddha, one who really comes across like a god from the Hindu pantheon. The first chapter (an online copy is available here) of this chronicle has a fantastical account of the Buddha leaving his 1.8 m/5 ft. footprint on a mountain peak (known today as Sri Pada or Adam’s Peak) on one of a series of three visits to Sri Lanka from northern India around 500 B.C.E. Who knew! 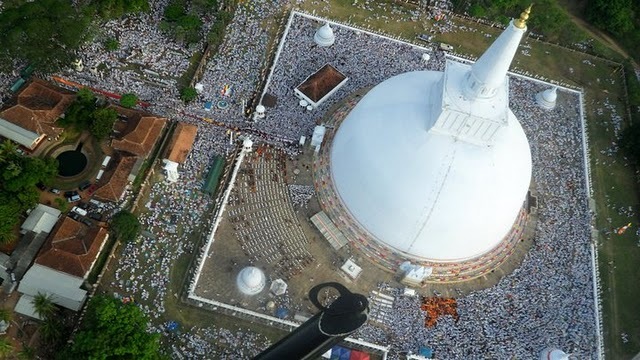 internet-sourced image of Ruwanweliseya Stupa at the ancient capital of Anuradhapura – Next to the Giza pyramids, the largest manmade structures in the ancient world were the three great dagobas found in Anuradhapura. I will be spending three days here. What this chronicle makes clear is the close alliance between ruler and monk in Sinhala society. In return for patronage from the ruler, the monks provided the rulers with legitimacy. (One can see a similar compact between Church and State in Medieval Europe.) Massive stupas (dagobas is the Sinhala term) were constructed by the kings to house the talismans and relics said to be related to the Buddha. 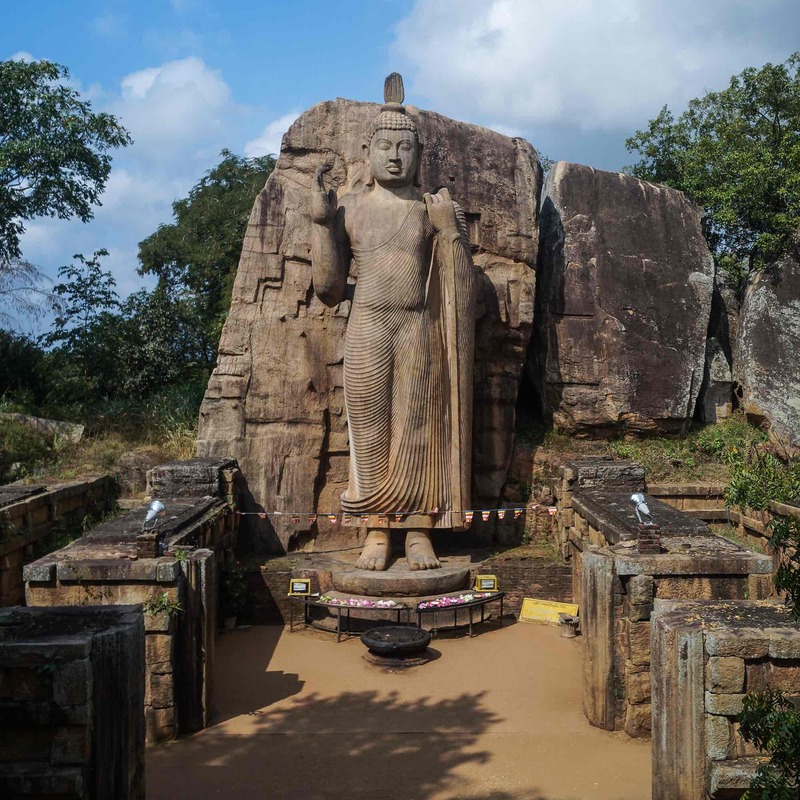 If you click on the following topo map, you’ll see where in Sri Lanka I will be spending most of my time – the Hill country contained within the circle and the Cultural Triangle with Anuradhapura, Kandy, and Polonnaruwa as key points of interest. My late February to mid-March visit will mostly be spent in these two areas. The f Google map below highlights the main stops in my ramble. 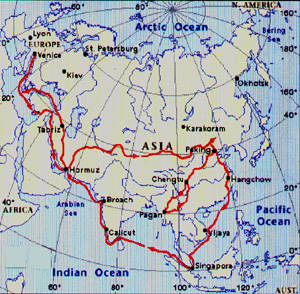 I had originally planned a bicycle trip that followed this basic itinerary. However, the bike will stay home this time as I join a small walking group for what should be a fairly easy-going trip. It is organized by Exodus, an excellent U.K. adventure travel company that I have used a few times in the past. See here for the description of the tour I signed up for – The Highlands of Sri Lanka. I’ve also set aside a few days at the end to visit Anuradhapura, the ancient Sinhalese capital for over a thousand years. Click on the “More options” prompt in the top left corner of the map if you want to get a screen-size interactive image that you can zoom in on to see the specific points in the itinerary. 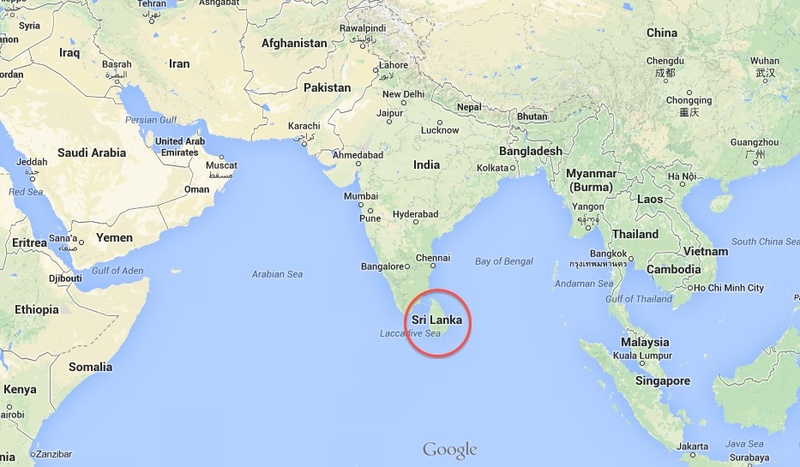 You may have noted that my visit to Sri Lanka does not focus at all on the north and the east of the country. These areas also happen to be where Tamils tend to be in the majority. In the back of my mind is a second trip to the country with my bicycle, during which I would pedal the roads from Jaffna down the east coast as far as I can. It was this area that was devastated by the tsunami of December 2004; the coast to the north of Trincomalee is also where the Tamil Tigers were finally cornered and annihilated. It has been five years since the decisive ending of the twenty-five year-long civil war in the country. In the years since the Sri Lankan government has been criticized by some (including the Canadian government) for its treatment of the Tamil minority during the last phase of the war and in the years since. This Al Jazeera web page (click here) has a couple of provocative 25-minute documentaries embedded in an opinion piece by Ameen Izzadeen that many Sinhalese would undoubtedly see as misleading but which do provide a useful background to the issues. I’m sure I will learn all sorts of things I never knew about Sri Lanka and its people in my 21-day visit. Given my ignorance of the complexities of the island and its cultures, I will often misinterpret the things I see or be oblivious to things that are happening right in front of me! Check back in a month or two to see what I made of the experience. I am really looking forward to this escape from our Canadian winter! This entry was posted in hiking/trekking, Sri Lanka. Bookmark the permalink. Lovely as the snow looks, I can understand why you want to transport yourself to a warmer climate. Enjoy your journey!